If you ask around, chances are everyone has an opinion on technology in the classroom. Some believe we should get a laptop into the hands of every student, while others would rather we get rid of computers in the classroom altogether. I’m not arguing for or against going 1:1 with technology in your classroom, but I will say that I believe a large number of us who have access to technology in our classrooms could be using it a lot better. If all we use laptops or other technology for is replacing (and not improving) what is already being done with paper and pencil, then we’re missing the point. We might as well have $1,000 paperweights for each student. One of the ways I have recently decided to use technology to replace and improve traditional pencil and paper is in the way I handle entry/exit tickets in math. Rather than have students use index cards or sticky notes (which is a waste of paper each day), I have students turn in digital exit tickets. Before starting this (quite recently), not only would I spend a few minutes sorting through who got it and who didn’t, but I would also have a hard time reading some of the responses, and often, ones who turned in an incorrect answer would forget to write their name on the index card. Great! How am I supposed to meet with students who don’t understand a concept when I don’t know who they are?! 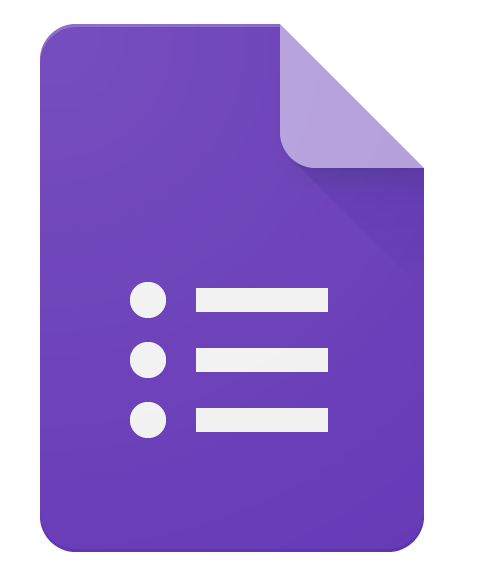 Now, students are assigned a Google Form in Google Classroom that they must complete. Students read the problem, perform the work on their whiteboards, and then type the answer in a short answer text box. I set a correct answer for the question, which will automatically grade the student’s response. Students also take a photo of their whiteboards with the front-facing cameras on their devices, uploading it along with the Google Form. When students submit their answer, they get immediate feedback on whether their answer was correct or incorrect, along with an optional link to a video or image of the correct work if they were incorrect. Both the answer and file upload fields are required, so every student provides me with a snapshot of their thinking if I need to look at their work. I no longer need to sort through right and wrong answers, because I just need to look at the work of students who got it wrong, which Google figures out for me! If a student provided an incorrect response, now I can click on their uploaded image and make sense of their thinking, which I can use as a teaching point for a small group or the class, using my favorite no, etc. While this is far from the only way to use a laptop or other device, this is the kind of thing that not only replaces, but also improves upon pencil and paper methods. It is faster for the teacher to find who needs support and who doesn’t, and the images are available for use at any time afterward. While it will take the students a while to get fast at logging in and completing the form at first, they will become faster with practice. Here’s a quick tutorial I made on how I created a Google Form as an entry/exit ticket (sorry, my children are playing in the background). That’s really all I’ve got this week (it’s been a busy one). Give it a shot!